Driving a gas-powered car about 90 miles—the distance between New York and Philadelphia—melts about a square foot of Arctic sea ice in the critical month of September, according to a new study that directly links carbon pollution to the amount of ice that's thawing. 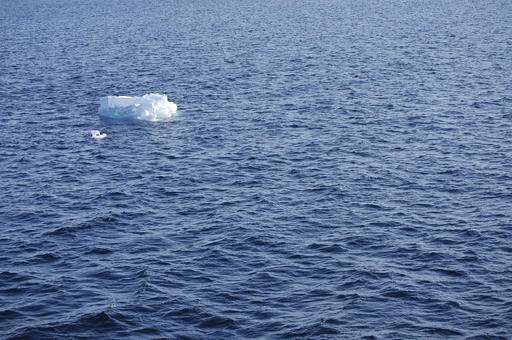 At current carbon emission levels, the Arctic will likely be free of sea ice in September around mid-century, which could make weather even more extreme and strand some polar animals, a study published Thursday in the journal Science finds. 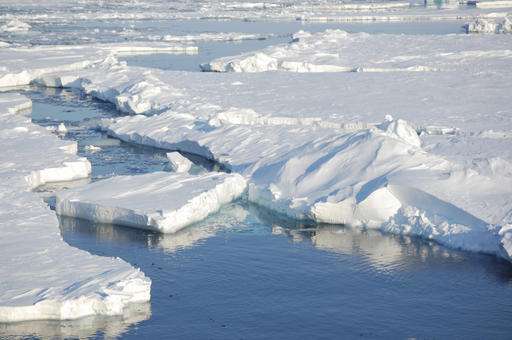 The study calculates that for every ton of carbon dioxide put in the air, there's 29 square feet less of sea ice (for every metric ton, there's 3 square meters less) during the crucial month when the Arctic region is least frozen. Using observations, statistics and 30 different computer models, the study authors show heat-trapping gases cause warming and the melting of sea ice in a way that can be translated into a simple mathematical formula. 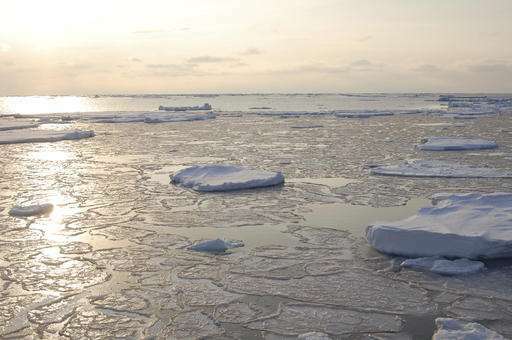 There's "a very clear linear relationship" between carbon dioxide emissions and sea ice retreat in September, especially at the southern boundary edges, said study lead author Dirk Notz, a climate scientist at Max Planck Institute for Meteorology in Germany. "It's very simple. Those emissions from our tailpipes and our coal-fired power plants are all going into the atmosphere," said study co-author Julienne Stroeve, a climate scientist at both the National Snow and Ice Data Center in Boulder, Colorado, and University College, London. "It just increases the warming at the surface. So the ice is going to respond to that. The only way it can do that is to move further north." 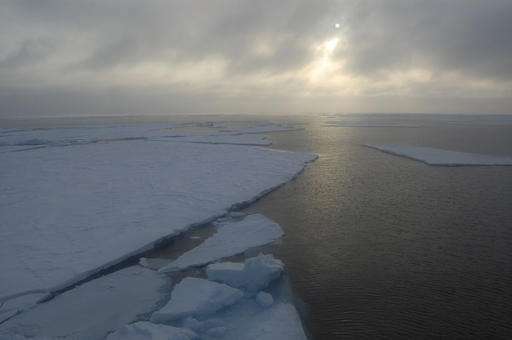 Rutgers University marine scientist Jennifer Francis, who wasn't part of the study, said the link is so clear and direct that "we know beyond a shadow of a doubt that Arctic sea ice is disappearing because of increased carbon dioxide." 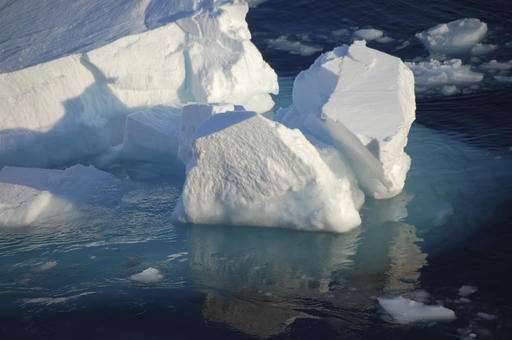 Stroeve and Notz calculated that the average American each year is responsible for carbon emissions that lead to melting around 538 square feet (50 square meters) of September sea ice. 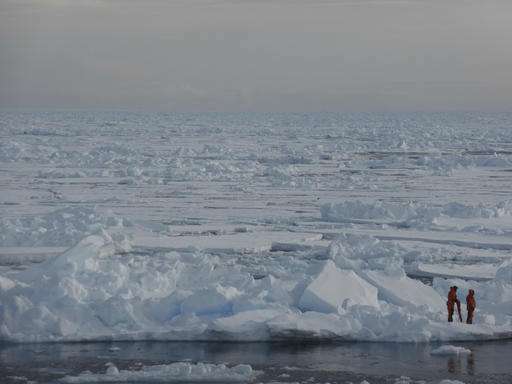 "I've stood on sea ice many times, and the idea that I'm responsible for 500 square feet of its destruction each year is devastating," University of Washington climate scientist Cecilia Bitz, who wasn't part of the study but also praised it, said in an email. "That is the size of my front yard!" On average, each September, there's about 33,670 square miles (87,200 square kilometers) less Arctic sea ice than the year before, although it varies year to year, according to a 37-year trend line calculated by the National Snow and Ice Data Center. From 1979 to 2000, the lowest sea ice amount of the year averaged about 2.6 million square miles, but this year it was down to the second lowest ever, 1.6 million square miles. That's a loss about the size of the United States east of the Mississippi River. Sea ice does build back up over the winter even with man-made warming, although this year Arctic sea ice level set a record low for October. The study focuses on late summer minimum levels, which is what most affects animals and climate further south, Notz and Stroeve said. Notz and Stroeve calculated that if people put 1,000 billion more metric tons of carbon dioxide in the air, the Arctic will be free of sea ice for pretty much the entire month of September. At the current rate, that means in about 29 years, the Arctic will be ice free during that month. An increasing number of studies find a connection between shrinking sea ice in the Arctic and extreme weather , including the wandering polar vortex that brings frigid air south in the winter. "It's not just that we care about polar bears and walruses," Stroeve said. "We all depend on the ice being there for the climate to be the way it is." But other than that mountain of factors, the molehill of your CO2 emissions has an (exceedingly small) effect on Arctic sea ice. The destructive power of Global Warming is awesome to behold. I'm surprised we aren't already dead.... oh wait, didn't they predict that we'd be starving, have world-wide pandemics and a world war already by now? I'm not a denialist, but this article is silly. Square feet? Not cubic feet... square feet.